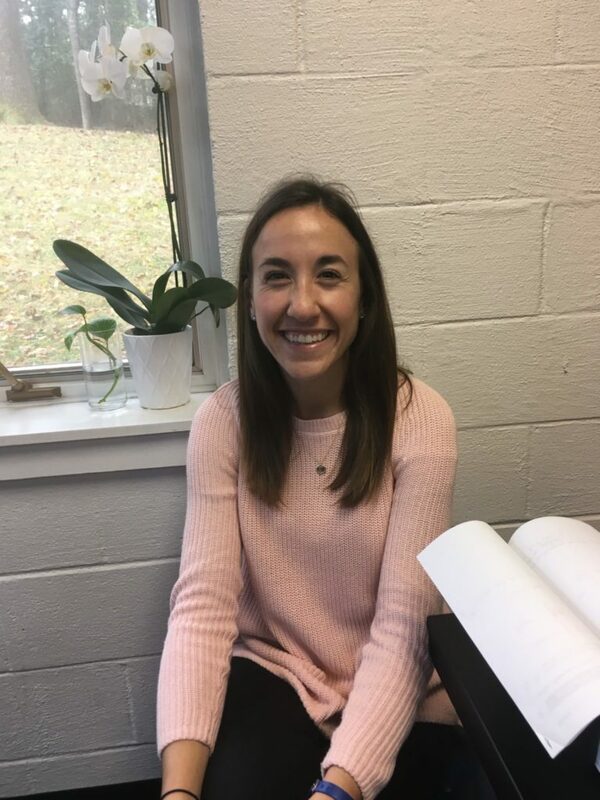 Dominion’s Director of Admissions, Marketing & Advancement, Audrey Lim, spoke with Dominion's fourth grade teacher, Miss Sarah Flenniken, about the use of Singapore math in Dominion's lower school (grades K-6) curriculum. 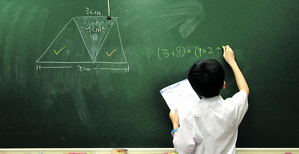 Singapore math refers to the teaching method used in the small island nation of Singapore where students consistently rank number one internationally in an assessment called Trends in International Mathematics and Science Study (TIMSS). Distinctives include problem solving through visualization - diagrams and modelling, as well as a focus on mastery over quota. In today’s interview, Mrs. Lim finds out why specifically Dominion chooses to use it and how students are consistently engaged and thrive with the program. Lim: Miss Flenniken, why do we do Singapore math instead of other math curriculum at Dominion? Flenniken: There are lots of reasons, but I think there are two primary ones. The first is that Dominion teaches kids to reason well. One of the wonderful aspects of Singapore math is that it really encourages discussion, not simply rote learning. We are concerned with understanding, not just efficiency and calculation. We want students to understand what the numbers and symbols represent. I love the discussion that happens during math classes at Dominion. As a classical school, we encourage students to speak, explain, and reason well; Singapore math supports that effort. The second reason that I think we use Singapore math is simple: it works. Lim: In addition to teaching students to think and articulate well, what makes Singapore math unique? Flenniken: The Singapore model emphasizes visualizing and building number sense in students from an early age. Our students learn to see and use numbers in a variety of ways, to represent numbers in different formats, and to use words to articulate or explain what is happening in a problem. 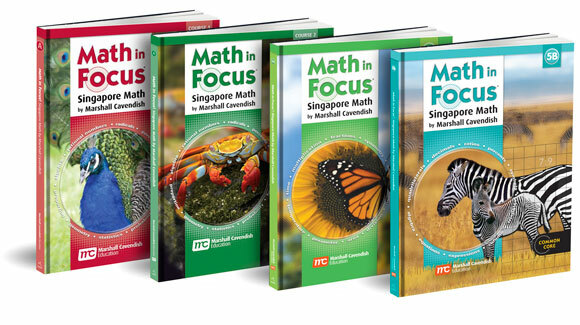 Singapore math builds not only computational speed, but also deep, conceptual understanding and visualization skills that really help students in high school math. In fact, when they get to middle school, students are often surprised to realize that they have been using bar models to solve algebraic equations since first grade! Lim: Do kids enjoy the program? Is it helping them to grasp concepts more easily? Flenniken: Absolutely! There's a lot of excitement in my classroom when the students are working in groups and talking to one another about the problems and equations they are solving. I love to listen to their conversations as they work through a word problem or a puzzle—or as they use place value charts to talk through re-grouping in a multiplication problem. They can grasp the concepts well—not easily (because any sort of deep thinking requires work), but more deeply. It's so satisfying to see how a student’s hard work pays off when he or she finds a solution. Lim: Have you witnessed any progress or "aha" moments when our students do Singapore math? Flenniken: One of my favorite "aha" moments of the year so far came a few days ago when a student came rushing up to me, tripping over himself because he was so excited about a bar model that he had drawn. He couldn't wait to tell me how he was going to solve the problem. I loved that moment because he hadn't even solved the problem yet. He had not done the computation. Yet, he understood what the problem was asking, he had drawn a visualization of the problem, and had reasoned through the steps it would take to solve. Better yet, he did the work quickly and accurately! Another moment that I loved had less to do with Singapore math in general, but it touches on what I said earlier about hard work. I always tell my students to "sit in the struggle" when a problem gets difficult. It takes hard work to solve a problem. The other day, a student came up and whispered to me, "The struggle worked! I figured it out!" I loved that. He was so proud of himself for working hard and it paid off. Lim: Like all of Dominion’s lower school teachers, you have been formally trained in Singapore math. What type of things were insightful in the training you have received? Flenniken: I loved the focus on rigorous reasoning and watching the way Greg Tang, an internationally renowned Singapore math expert, worked through word problems from first grade through sixth grade. It really helped to see where students are coming from and where they are going with their thinking. I also loved his focus on mental math, and I came away with lots of new ways to incorporate mental math into my teaching. I am also convinced the "much, not many" is the way to go. Spending more time on fewer problems is best since it gives children time to think through what they are learning. Overwhelming them with too many problems leaves them little space to reason. Lim: What do you recommend to parents who want to get to know the curriculum better? How can they get involved, especially since Singapore math may feel foreign to the way they were taught in school? Flenniken: I think the first and best resource is to seek out their children’s teachers for specific questions. Also, our Singapore math Night, hosted by Dominion each year, seems really helpful for parents. Those who attend usually say they are able to better understand and see the value of Singapore math’s progression from concrete to abstract. Singapore math isn’t “new math;” students still do the same calculations we’ve always done in math. However, it is foreign to the way most parents were taught because it accesses the drill and calculation by way of understanding and reason. It was foreign to me until I started teaching it, but now (like all of Dominion’s teachers), I wish that I had learned math this way! Everyone I know who has studied the program has walked away convinced that it’s a better way to teach mathematics.